For many men, their hair helps boost their confidence. Unfortunately, 50 million American men suffer from baldness. For many, heredity is the culprit but stress and poor lifestyle habits also contribute. Of course, when you begin to lose your hair, it's hard not to feel anxious about it. Especially if you're concerned about your looks. One way to regain your confidence and your hair is through hair restoration surgery. But before you head to your local surgeon, you should know exactly how hair restoration works. To help you understand the process, keep reading as we're sharing with you everything you've always wanted to know about hair restoration surgery. Not everyone is a good candidate for hair restoration surgery. If you're completely bald, there's nothing to work with. However, if you're just beginning to experience thinning or balding on the top of your head, you're a good candidate. The same is true if you're starting to experience thinning on the sides of your scalp. Also, hair restoration isn't for people interested in growing their locks long. You must be comfortable with having short hair. While you may think that if you've tried other methods before that failed, hair restoration isn't for you. Luckily, that's what makes you a perfect candidate for this type of surgery. Finally, if you want to enjoy fuller, thicker hair without visible scarring, this may be the perfect solution for you. This type of hair restoration utilizes something called NeoGraft Follicular Unit Extraction (FUE) technology. Surgeons use this technology to transplant and graft hair to other areas of the scalp where balding or thinning is present. 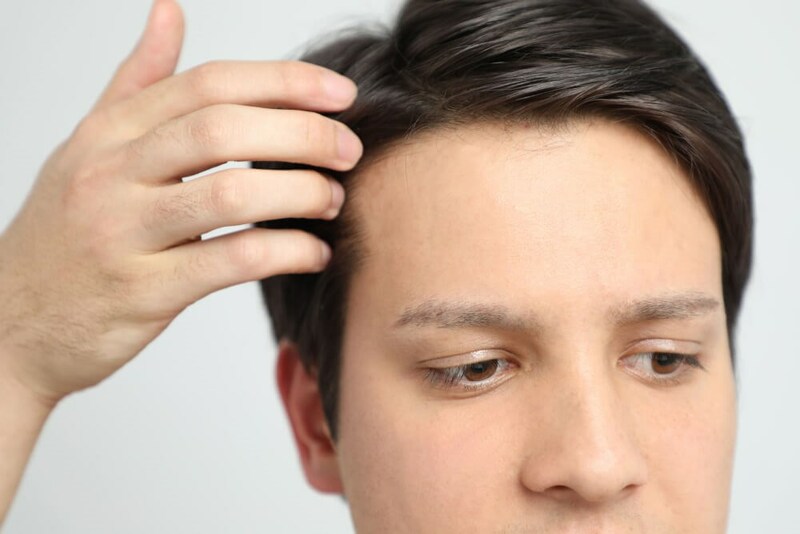 Once it's been determined that you're a good candidate for NeoGraft hair restoration, the surgeon begins by removing hair from what's known as the "donor area". The donor area is the back of your head. The reason is that the back of the head is the most likely place to have the most hair follicles that are suitable for transplanting. The reason is that it's an area that is genetically programed to resist testosterone. Be aware that the surgeon's team will shave the back of your head. That allows the surgeon to start removing your hair follicles one by one. It will leave small dots, but your existing hair will cover it. Your surgeon will also clean and numb the areas where he or she is transplanting your hair follicles. He or she will either use a scalpel to slit the grafting area in order to do the transplant or he or she will use a needle to create holes to do the transplant. Your surgeon then angles the transplanted hair into the proper angles and direction that's been specifically designed for your head. The last step is to separate the follicular units by size. The surgeon then transplants the grafts into the areas that are balding or thinning. Each graft is transplanted individually so the best results are ensured. The FUE method is much less invasive than other types of hair restoration methods but you're still going to feel tenderness afterward. In fact, your doctor will advise you to take pain medications for the next few days. Your doctor will also most likely prescribe an antibiotic or anti-inflammatory to take for a few days. You'll also need to wear bandages to protect your scalp for at least one or two days. However, you'll be able to return to work anywhere from two to five days after the operation. One massively positive aspect, besides the short recovery time, is that it's not invasive. That means, there should be no scarring so once it's finished, no one will be able to tell you've had hair restoration surgery performed. They'll just think you have a great looking head of hair. You'll notice that anywhere from two to three weeks after surgery, the hair that's been transplanted will begin to fall out. Do not panic, as that's supposed to happen. Within a few months, you'll begin to notice new growth. Most people who opt for FUE hair transplant surgery notice an increase of 60% new hair growth between six and nine months after surgery. Your surgeon may also prescribe Rogaine, which is a hair-growing drug to help improve hair growth after the surgery. However, it's no guarantee that Rogaine will work well for you. As with every type of surgery, there are some risks involved. There is a possibility of bleeding or an infection may set in. While scarring shouldn't occur, it still is a possibility. Also, you may notice some unnatural-looking new hair growth. Also, once the newly transplanted hair begins to grow, it's possible to experience inflammation or even an inflection in the hair follicles. This condition is known as folliculitis. Your surgeon will treat this condition with antibiotics and tell you to use a compress to help relieve any pain or discomfort you may experience. A condition known as "shock loss" is also possible. This happens when you lose some of the original hair in an area where new strands were placed. Fortunately, it's most likely not permanent. Insurance isn't likely to cover the costs of your hair restoration surgery. The price also varies depending on how much hair needs transplanting. Make sure you work with a surgeon who has a good record of using this type of surgery on their patients. Check to see what types of testimonials are being left for the surgeon and his or her team. Whether you're ready to invest in hair restoration surgery or you just have more questions, we can help. Our dedicated team is here to answer all your questions and help support you any way we can. Don't wait before your hair falls out entirely. You deserve to look and feel your best today. Contact us to get started.